Excellent pouffe, remarkable design, quality materials. To ensure your new furniture is suitable for your home, please remember to measure your available space before ordering. Free delivery only to ground floor level. 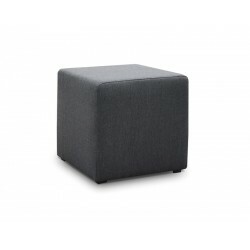 Polo 42 cm wide pouffe is a combination of modern design and comfort, thus, is ideally suitable for any room. Works as an extra seat or a comfortable extension of your sofa. The furniture was made of high-quality materials.